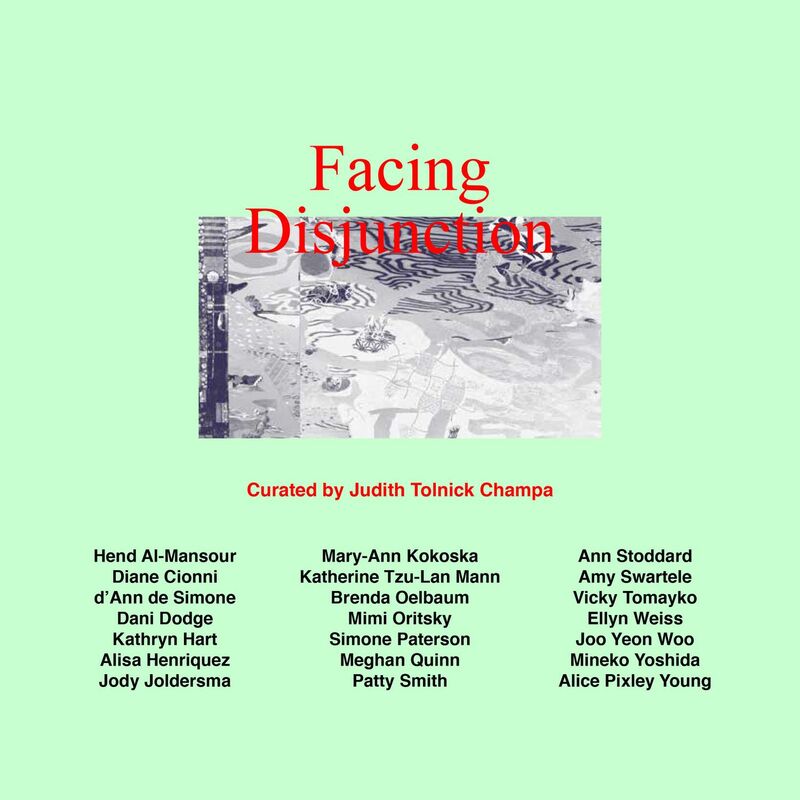 The 2018 Annual National Artists’ exhibition, Facing Disjunction, curated by Independent Curator Judith Tolnick Champa testifies to the artists’ processings of a fragmented world, showcasing their bold responses to our fraught moment in time. The A.I.R. National Artists’ Exhibition has been a greatly anticipated feature of A.I.R.’s programming since 1981. For the latest edition, Tolnick Champa identified four thematic unities within the work of A.I.R. National Artists. Not So Simple Statements includes works that attest to the profound imprint of politics in our day to day. In Orbits in Light and Shade, artists use natural phenomena to address disjunctions in science and culture. Eccentric Landscapes consists of works making sense of the natural world, an environment that is disaggregating, day in and day out. The works included in Figure/Disfigure are characterized as revealing a "sometimes desperate, sometimes defiant figuration." The artists featured in the exhibition are: Hend Al-Mansour (Minneapolis, MN), Diane Cionni (Denver, CO), d'Ann de Simone (New Haven, CT and East Lansing, MI), Dani Dodge (Los Angeles, CA), Kathryn Hart (Denver, CO), Alisa Henriquez (East Lansing, MI), Jody Joldersma (Seattle, WA), Mary-Ann Kokoska (Fort Collins, CO), Katherine Tzu-Lan Mann (Oakland, CA), Brenda Oelbaum (Dexter, MI), Mimi Oritsky (Philadelphia, PA), Simone Paterson (Christiansburg, VA), Meghan Quinn (Los Angeles, CA), Patty Smith (Philadelphia, PA), Ann Stoddard (Adelphi, MI), Amy Swartele (Potsdam, NY), Vicky Tomayko (Truro, MA), Ellyn Weiss (Washington DC), Joo Yeon Woo (Boulder, CO), Mineko Yoshida (Charlottesville, VA), Alice Pixley Young (Cincinnati, OH).